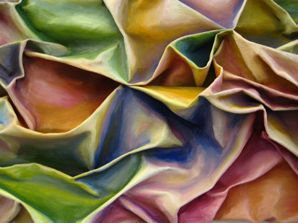 Three dimensional oil paintings on canvas. The artworks are a mixture of painting method and textile technology. Her works are observations of lived space experiences, expressions of her aesthetic emotion and subjective sensation.